TRENTON – Acting Attorney General Robert Lougy announced that a man and a woman were indicted today on charges that they conspired to use the identity of a Nevada woman in an attempt to obtain a loan to purchase a Mercedes Benz vehicle at a dealership in New Jersey. 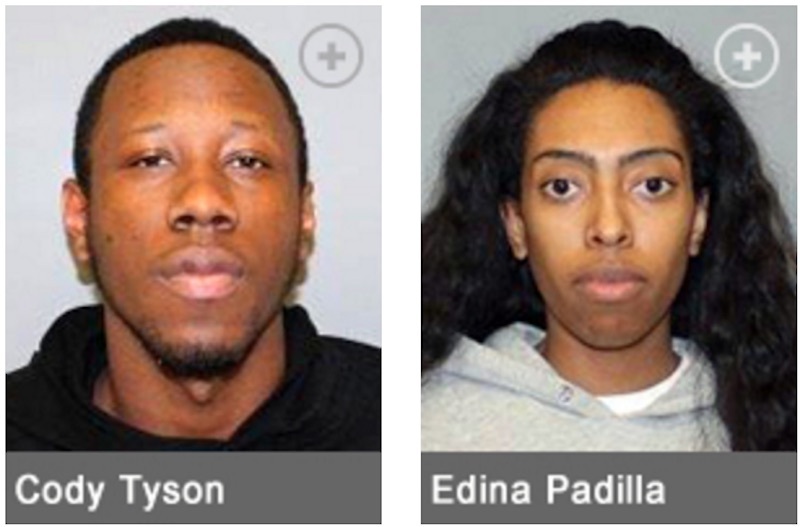 Cody A. Tyson, 23, and Edina M. Padilla, 25, who currently live together in Bayonne, N.J., were arrested on Jan. 29, 2016 at DZ Motors in Rahway, where they allegedly were in the process of completing paperwork to secure a car loan in the amount of $86,848 using the identity of a Nevada woman so that they could purchase a 2015 Mercedes Benz S550. The Nevada woman was alerted by LifeLock that someone was trying to use her identity to buy a car in New Jersey, and she telephoned the Rahway Police, who responded to the dealership and arrested the couple. Padilla allegedly denied having identification in the name of the Nevada woman, but an officer observed and seized a Maryland driver’s license from Padilla that was in the name of the Nevada woman but had a photo of Padilla. The vehicle that Tyson and Padilla drove to the car dealership was impounded by the police, but both defendants denied having keys to it. Later, however, an officer saw Tyson trying to hide keys while in a police holding cell and took custody of them. The private tow operator who towed the seized vehicle to the Rahway Police Department used the keys to open the vehicle and inventory its contents, in accordance with a local ordinance. The tow operator found a 9mm handgun in the vehicle’s center console and alerted police. A detective seized the gun, which was loaded with bullets, including some hollow nose bullets. Possession of Hollow Nose Bullets (4th degree). Deputy Attorneys General Thomas Clark and Janet Bosi presented the case to the state grand jury for the Division of Criminal Justice Financial & Computer Crimes Bureau. Detective Katelyn Prata of the Division of Criminal Justice and Detective Shawn Ganley of the Rahway Police Department were lead detectives. Acting Attorney General Lougy thanked the Rahway Police Department for its investigation. He also thanked the Bayonne Police Department and the U.S. Postal Inspection Service for their assistance. The indictment was handed up to Superior Court Judge Mary C. Jacobson in Mercer County, who assigned the case to Union County, where the defendants will be ordered to appear in court at a later date for arraignment on the charges. Second-degree charges carry a sentence of five to 10 years in state prison and a criminal fine of up to $150,000. The charge of unlawful possession of a weapon also carries a mandatory minimum period of parole ineligibility of 3 ½ years. Third-degree charges carry a sentence of three to five years in state prison and a fine of up to $15,000, while fourth-degree charges carry a sentence of up to 18 months in prison and a fine of up to $10,000.